RETREAT! Local artist CV Peterson shows off Envisage – a new retreat space offering people a place to explore their own artistry. The space can also accommodate lectures, meet-and-greets, dinners, workshops, and more. If all an artist wants to do at Envisage, local artist CV Peterson’s new retreat for artists from all over the world, is drink tea, take walks, pet horses, and write in a journal, that’s OK with her. But if they want to engage with the Chippewa Valley through lectures, meet-and-greets, dinners, workshops, and other means, all the better. 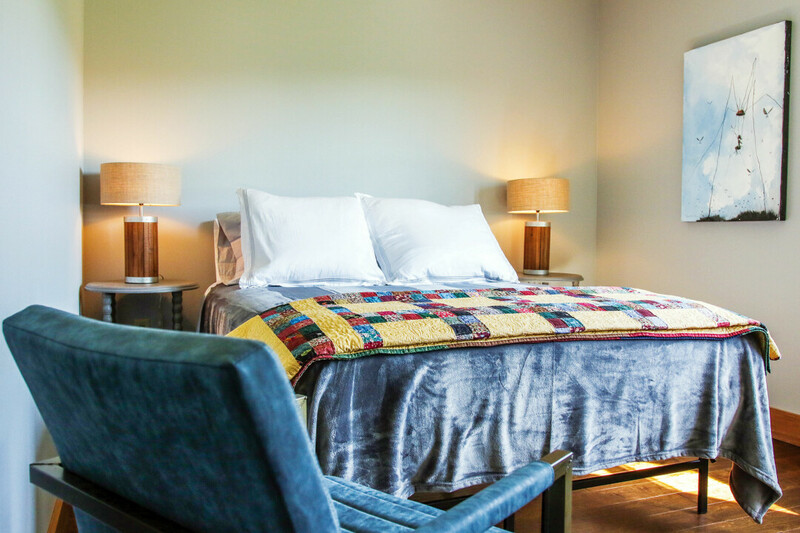 Peterson broke ground on the two-bedroom guesthouse a little over a year ago with the vision of turning it into a place where sculptors, painters, and really any kind of artist, can find respite where she always has – on her family’s horse ranch a few miles west of Chippewa Falls. “My main goal is to bring in artists from other locations to be inspired by us and bring us inspiration,” Peterson said. She doesn’t intend for it to be a space for cranking out finished products, but rather to serve as a place to breathe, plan, sketch, explore, and develop new ideas. 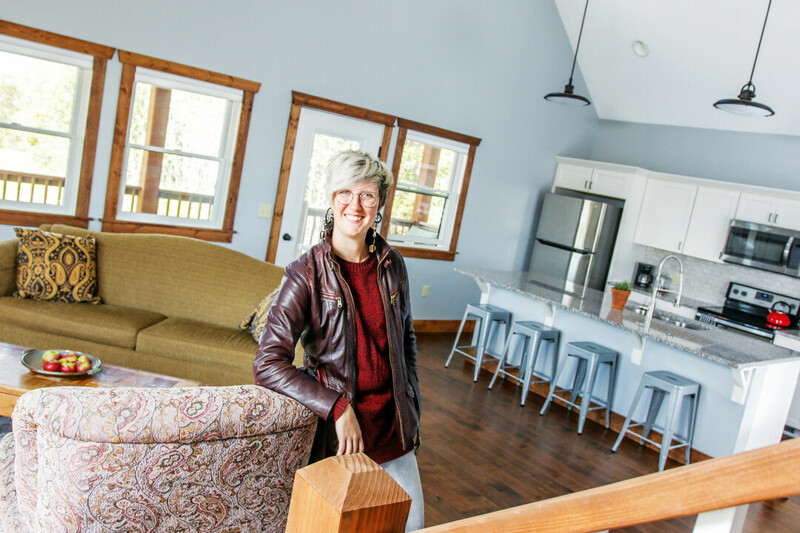 Some of those ideas, she hopes, will be the direct result of proximity to the Chippewa Valley, sprung from experiences locals might take for granted, but visitors might find illuminating. “My dream is that as people stay, they will leave parts of themselves here,” Peterson said. This could mean drawings, sculptures, or books, which she would use to decorate the retreat, enriching the experience for future visitors. It could also mean in the impact those visitors have on the local art community. “This is all dreams, ‘cause I’m just starting,” she said, taking a stance that suggested she was ready to spring into action or explode from excitement, knees slightly bent, hands balled into fists, grin wide. Applications for the Envisage residency program will open in late October, and she will choose the first artists with attention to their portfolio, their background, gender, race, their reason for applying, and other factors. The first residency period will be March-May of 2019. Peterson has ideas to open the space up to Chippewa Valley residents and artists as well. 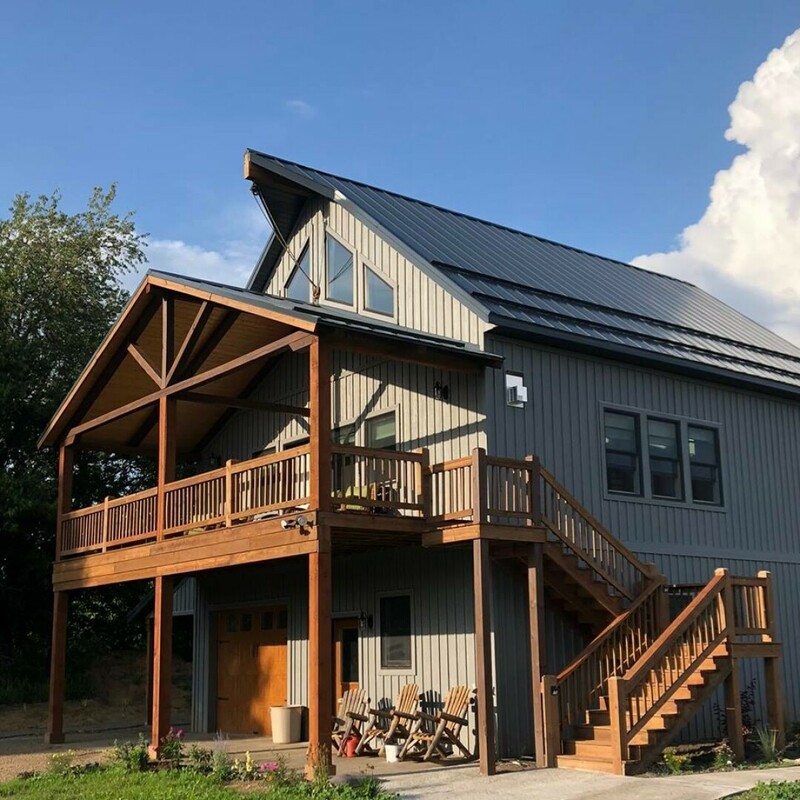 She hosted an open house to introduce the retreat in August, welcoming the community into the high-ceilinged, light blue apartment with windows overlooking 150 acres of farmland. In time, she may use the area to host artist-organized parties, workshops, or other gatherings. In time, she hopes to gain enough recognition that local organizations and individuals sponsor scholarships that would allow artists to stay at Envisage in exchange for bringing their art and knowledge to Eau Claire and Chippewa Falls. For now, she is happy to welcome guests, provide respite, and send them on their way with a piece of the Valley. “I’ll be giving back to the growth of creatives, and that’s just a really exciting feeling,” Peterson said.